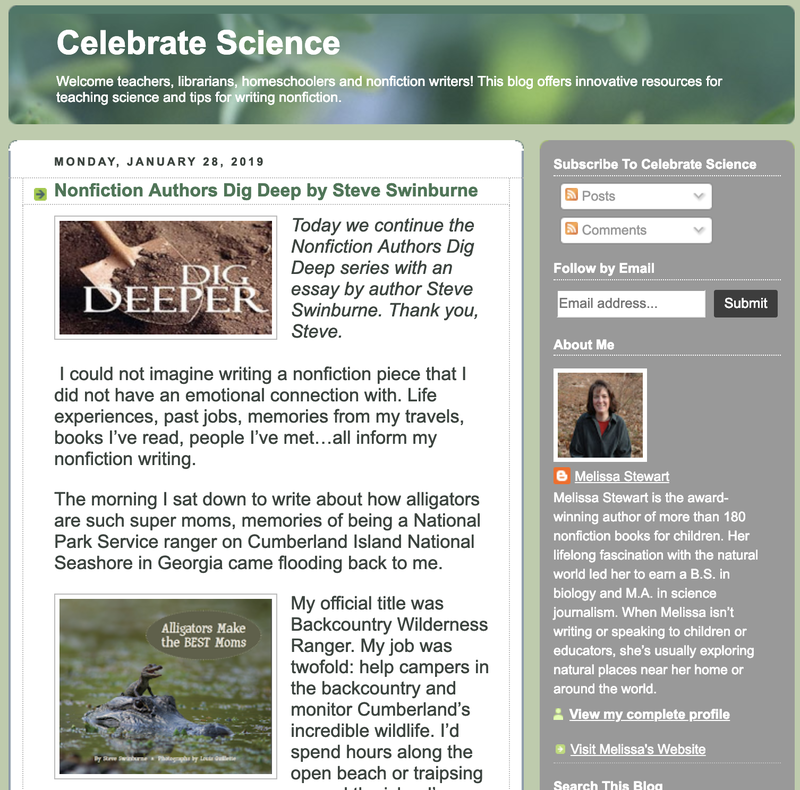 Nonfiction Authors Dig Deep - A New Blog Series Hosted by Melissa Stewart on "Celebrate Science"! 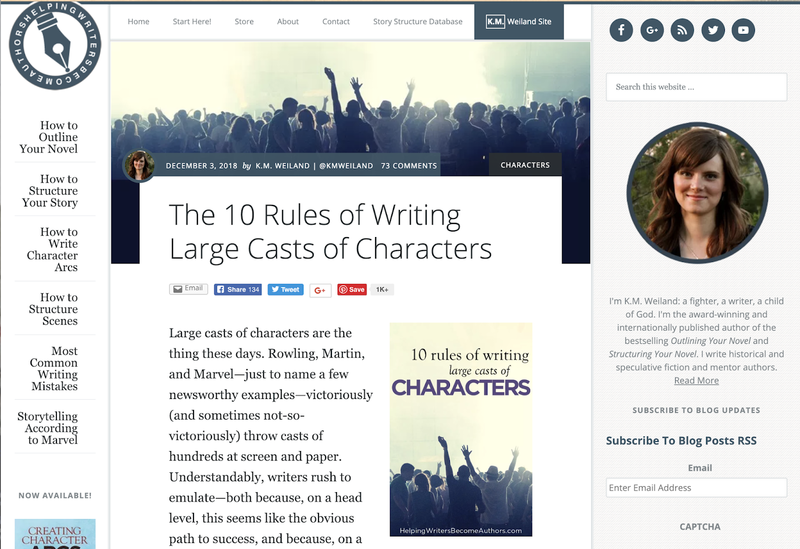 “There’s a common, crushing misconception that fiction is creative writing drawn from the depths of a writer’s soul, while nonfiction is simply a recitation of facts that any basic robot could spit out. 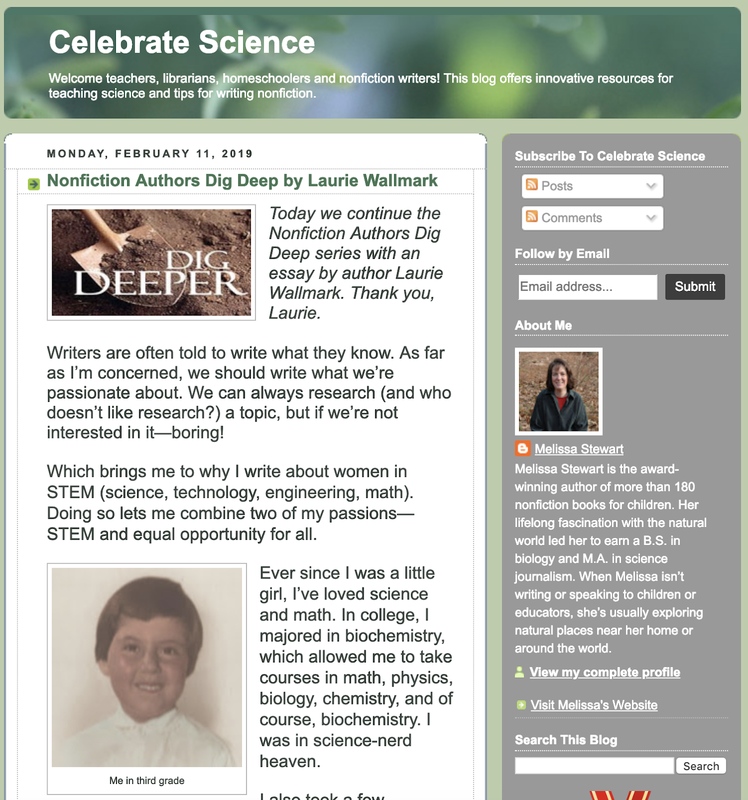 Melissa turns the spotlight on 33 other authors of nonfiction for kids in this ongoing series "Nonfiction Authors Dig Deep." It's packed insights into their process, tips, and inspiration, and is well-worth checking out! 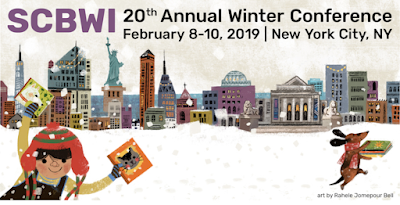 “Again and again, what you’ll hear is that crafting nonfiction involves much more than just cobbling together a bunch of facts. 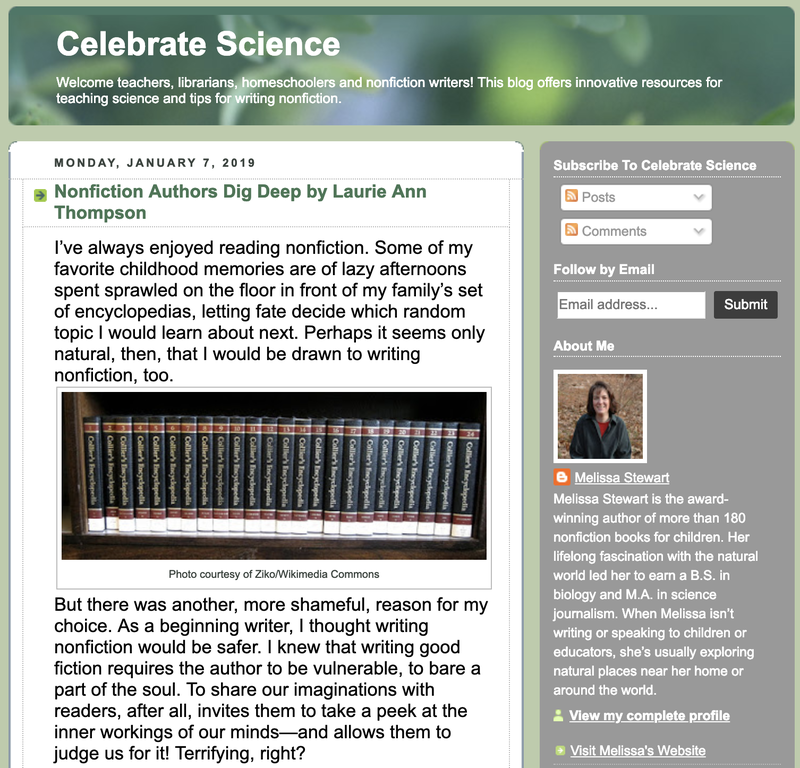 The books we choose to write and the perspectives we choose to explore are often closely linked to who we are as people and our experiences in the world. 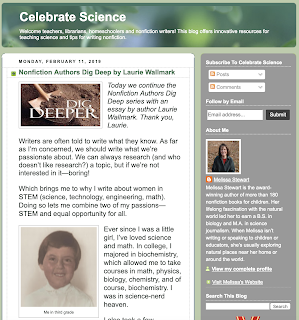 Nonfiction writers—all writers—have to dig deep. If we don’t, our writing will fall flat, and no one will want to read it. “Writers are often told to write what they know. As far as I’m concerned, we should write what we’re passionate about. We can always research (and who doesn’t like research?) a topic, but if we’re not interested in it—boring! “At one point, my well-meaning and incredibly supportive husband said something along the lines of, “Why are you [an able-bodied white woman from Wisconsin] writing this story anyway? Maybe it’s time to move on to something you know more about.” I had to wonder if maybe he was right. What did I have in common with Emmanuel? Why was I writing this story in the first place? It turns out these were just the questions I needed to ask to come up with an approach that finally worked. You see, I’d had all the facts lined up in a satisfying order, but what was missing was… me. I’d been so focused on writing the facts that I’d carefully removed all of my own feelings about it. But isn’t authentic human emotion just another kind of truth? And isn’t it, perhaps, the most important kind of truth we can share with one another? When I finally sat down and got clear about my “why” for telling that story, the “how” to best tell it revealed itself almost immediately. For me, it isn’t really a story about having a disability or even Emmanuel himself. It’s about being left out and overlooked, feeling frustrated by injustice and inequality, and wanting to make the world a better place. “I wrote Safe in a Storm (Scholastic, 2017) shortly after the 9/11 attack on the United States. I felt like we’d been struck by a storm that day. 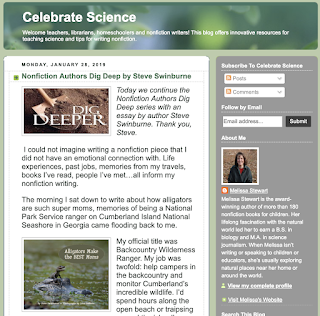 As I thought about what I could write after the initial shock and grief subsided, I began, as I often do, to view writing ideas through the lens of nature. How do animals survive storms? For instance, how do a whale and her calf ride out an ocean squall? It's a wonderful series. Check it out here. 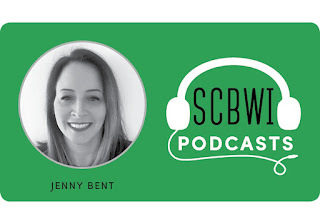 A Conversation with Jenny Bent - Listen to the latest SCBWI Podcast! Jenny Bent founded The Bent Agency in 2009. 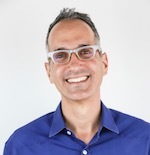 The agency now has nine agents, offices in New York City and London, and a focus on international rights. Jenny speaks to Theo Baker about the difference between Y.A. and Adult, what she's looking for, the decision to launch her own agency, what happened that changed her approach to agenting, and much more! 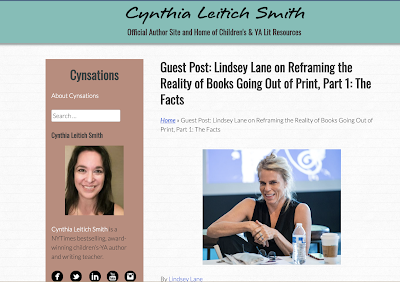 Hosted on Cynthia Leitich Smith's indispensable Cynsations website, Lindsey Lane dives into the reality of books going out of print in this four-part series. Part One dives into some publishing numbers and the culling of books from library collections. The bottom line, when going out of print happens to your book, is that it shouldn't be a surprise. Check out the whole series as it publishes on Cynsations. Well-worth reading. "Description begins in the writer's imagination, but should finish in the reader's." 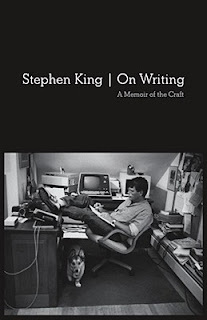 —Stephen King, pg. 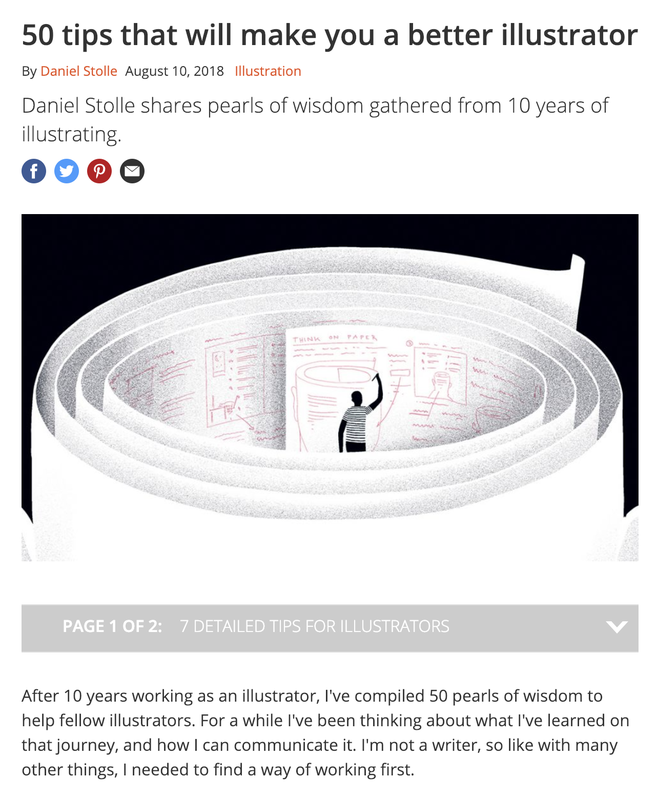 137 of "On Writing"
Daniel Stolle's "50 tips that will make you a better illustrator"
Find what resonates for you among these pearls of wisdom from Daniel Stolle's article on Creative Bloq. Paper is one of the oldest technologies we have. Cultural creation has been based on it for millennia. Let's not abandon it just yet, especially in the early stages of a project. 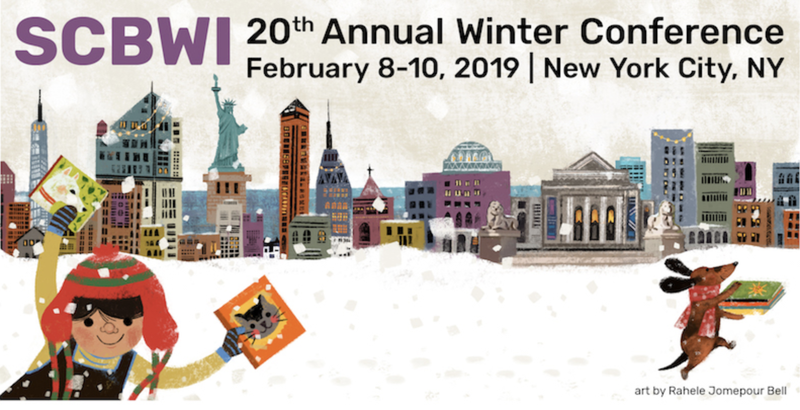 While you're studying illustration – either formally, or by yourself – you are exposed to great work by others. You feel jealous of your peers and in awe of the masters. You're inspired, you're confused, you try to create, and then you're frustrated by what you produce and how badly it compares. And in spite of it all, you're still driven to make something, so you try again. Although you are dealing a lot with your emotions in that whole turbulent process, you might not have learned to observe yourself and what you are doing yet. To be successful, you need to find out a lot of things about yourself first: What are your strengths? What are your weaknesses? This is easier said than done, but start with simple things first. For example, what are your most productive working hours? Whether you work best at 6am or midnight, don't miss out on these hours, and try to plan the rest of your day around them. Once your needs are taken care of, you will become less anxious. You are the person you have to work with for the rest of your life, so get to know yourself. Be disciplined, of course, but also be accepting and tolerant. it's a list of advice that's well-worth checking out.